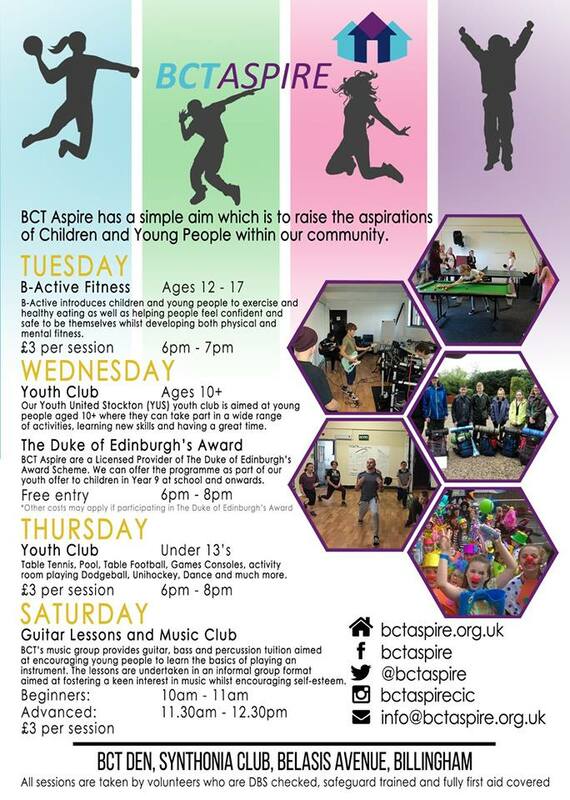 Please note our list of BCT Aspire sessions including our Duke of Edinburgh Award sessions! Come along and find out more at The Den, in the Billingham Synthonia Club. Pass on this information if you know children & families who might be interested!